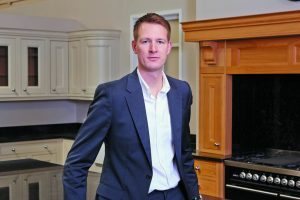 Yorkshire based British designer and manufacturer of quality fitted furniture, Daval Furniture, scoops ‘Highly Commended’ at Insider’s 7th annual Made in Yorkshire Awards 2019, awarded in the ‘Manufacturing Innovation Award’ category. Rewarded for its exclusive Option-i production technology, Daval introduced this manufacturing process for the sole benefit of maintaining high levels of innovation and creation for its customers, and the Made in Yorkshire Awards 2019 acknowledged this market power by honouring Daval Furniture with a ‘Highly Commended’ award classification. The Made in Yorkshire Awards 2019 took place on the 7th March 2019 at the Hilton Hotel, Leeds.